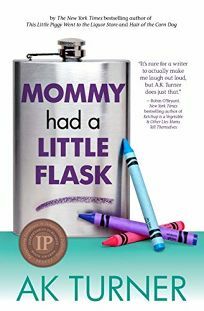 Turner is back and better than ever in this comedic sequel to This Little Piggy Went to the Liquor Store, as reliably honest and zany storytelling conveys both joys and trials of parenthood. Turner, an Idaho mother raising two young daughters, has an opinion on everything, including buffets (they bear responsibility for "what's wrong with this country"); writers' retreats and how to measure the quality of someone's writing by how much he or she talks about it ("excessive babbling" is an "attempt to compensate for crippling insecurity"); and a parenting technique she calls "Willful Denial of Fact." Vignettes range from botched chemical peels, her children's Mandarin classes, endeavors to use a Slip ‘n Slide, and six months in Mexico with the in-laws. Readers will be pleased to see familiar characters reprise their roles from Turner's first book, such as brother-in-law Virgil, who tells everyone that Turner's father is Dean Koontz, "the guy who wrote The Shining." Turner's unapologetic confessional is easy to relate to, and she succeeds in finding humor and entertainment in even the most mundane trials of motherhood.